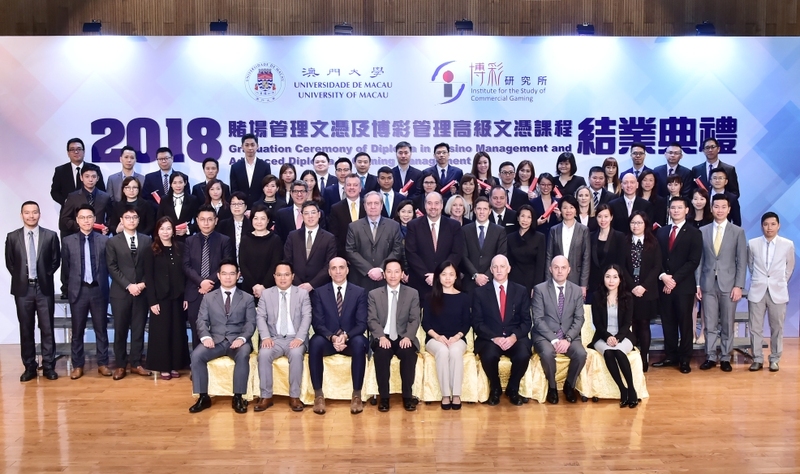 Thanks to the support of local gaming companies to the UMDF and the University of Macau (UM), the 12th Diploma in Casino Management and the 8th Advanced Diploma in Gaming Management were concluded in 2018. 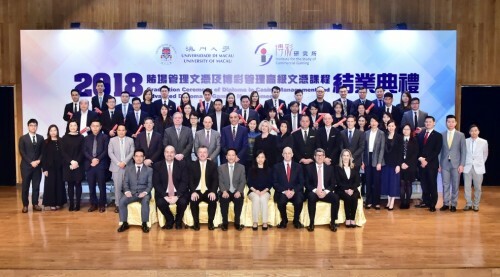 The graduation ceremony of the two programmes was held in November, and officiated by Prof Rose Lai Neng, associate dean of the FBA, Prof Davis Fong Ka Chio, director of the Institute for the Study of Commercial Gaming, as well as management representatives from the six gaming operators in Macao. They presented certificates to the graduates, 14 of whom were given Distinction Awards or Outstanding Awards.